Have you heard about Souvenir? It is a beautiful and inspiring lifestyle magazine. All the things we love here at the Boho Farm! can be made in anyone's kitchen without special equipment. This issue is FULL of beauty, summer bliss and hours of inspiration. and both are with no ads--just content--how great is that? 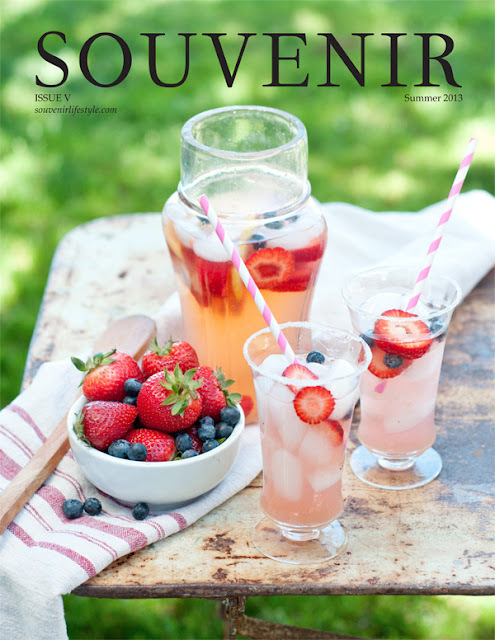 I know you'll love Souvenir as much as I do! Wow, congrats on the feature! YAY!!! How exciting, Caroline. I want to see it! I don't know where I can get it around here....but I'll find a copy! Of course the digital version would be fun on my iPad. Congratulations!!! I just purchased the digital copy and it is beautiful! Congratulations! !I have been following your blog for a while now and I am so happy for you and I will try and find the digital version..
you are a perfect to Heather's beautiful magazine! i look forward to reading your articles, congrats! !